To express interest in this course CLICK HERE. 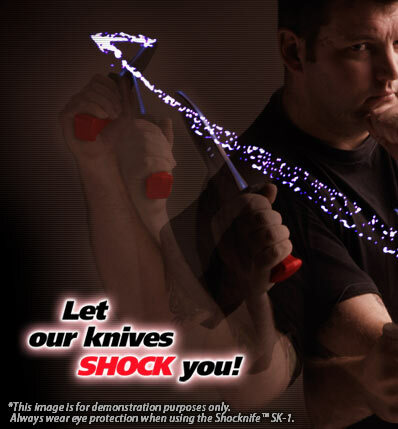 CLICK HERE for a downloadable PDF of the Shocknife Spontaneous Edged Weapon Defense Instructor Course. After several years of extensive research, Shocknife Inc. has developed the Shocknife Spontaneous Edged Weapon Defense Instructor Course. This course is unlike any other edged weapon course being offered today. Shocknife filmed scenario after scenario of spontaneous attacks to identify how a human with minimal training will actually respond in these situations. The result is a system that accepts the natural human response and builds in a cognitive response once the brain has “caught up”. The system focuses specifically on sudden, unanticipated edged weapon attacks when the officer has not consciously prepared to respond. This course is perfect for instructors who are currently teaching edged weapons defense but want to enhance the spontaneous defense aspect of their system. The course can easily be used as a “plug & play” insert for any existing edged weapon system. All individuals who take the Shocknife Spontaneous Edged Weapon Defense Instructor Course will be given free access to the Shocknife Online Safety Monitor Certification Course, a $99.00 value! A break down of the most common physical reactions to unanticipated, spontaneous assaults is analyzed. This is the starting point for any true spontaneous defense system. Instructors will be shown how to recreate these actions in training. The course does not focus on singular attacks, but on patterns of attack. Our research shows that most officers will recognize the pattern of attack even if they do not actually see the weapon. The course provides drills to enhance recognition of these patterns. Unfortunately during a real spontaneous assault, the officer may not identify a weapon is involved. The course provides drills to assist the officer in distinguishing between an armed attack and an unarmed attack. The initial response is the same, but the training will help the officer with weapon selection and prevent inappropriate responses. Instructors will be taught specific drills to enhance the performance of officers who are armed with a firearm. The focus will be on disengagement and threat recognition. Drawing while moving is examined and enhanced with drills. Instructors will be taught specific drills to enhance the performance of officers who do not carry firearms, such as correctional officers. The focus will be on disengagement, escape and/or survival strategies. 1. Identify nomenclature of the Shocknife SK-2 and Stressblade. 2. Perform and identify all 5 steps of the Shocknife Function Test. 3. Perform and identify all 6 steps of the Shocknife Shock Adjustment test. 4. 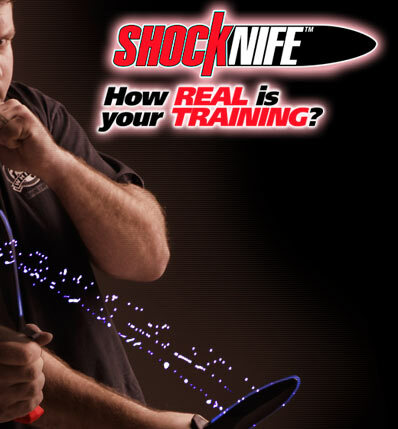 Identify and explain all 10 safety rules required to train with Shocknife products. 6. Identify the two basic knife grips. 7. Identify and demonstrate the three most common patterns of edged weapon attacks. 8. Identify and demonstrate the most probable unarmed human reaction to a spontaneousedged weapon attack to the upper and lower body. 9. Demonstrate separation strategies for edged weapon attacks to the upper and lower body when unarmed. 10. Demonstrate cognitive strategies to maintain separation. 11. Identify and demonstrate the most probable armed human reaction to a spontaneous edged weapon attack to the upper and lower body. 12. Demonstrate separation and drawing strategies for edged weapon attacks to the upper and lower body when armed. 100% of Instructors said they would recommend this course to other agencies/Instructors. "Excellent course. Will now become a standard for our training in edged weapon defense. Course created a whole new thought process on knife defense tactics. One of the best officer safety courses I have taken in my 13 years as a police officer." "30 years with the RCMP and this was some of the best down to earth realistic and applicable training I've seen. Awesome job!" "Excellent course. This is a great addition to our defensive tactics training. Get this out to all agencies/departments!" "I have over 22 years in Law Enforcement both with the military and VA. I enjoyed the training I received and I will implement this into training for my fellow officers. I would recommend this course to all Law Enforcement."